It’s festival time in our ski resort, want to come along for the ride? The festivals I’m used to are the Glastonbury’s, WOMAD’s and Big Chill’s, you see we used to work on a friend’s food stall. Watching the build-up and break-down of the sites, the gear, the crews, the mud, the kids trying to look oh so cool but their eyes and faces never disguised their excitement. Festivals are a world away from the world. Crazy and chaotic are two words that spring to mind as are beautiful and unique. So we are veering right off the gardening track, there will be some food later in the week and some gardening when I return home for a few days, but hang in there and come on and join in on the party atmosphere. 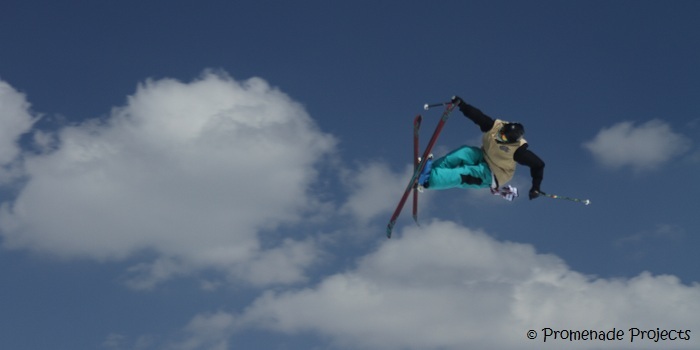 There is Street Art, Music, and Freestyle Ski Jumping Competitions. To host Freestyle Ski Jumping you need to create the jumps and I’ve had a heap of fun watching these take shape 🙂 First of all you get yourself a huge pile of snow, which has to come in on the back of a lorry, you then employ some young guys and machinery to knock it into shape – literally. Then you get another bunch of people together to go and jump off these, well what shall I call them? Perilous peaks? Remember this is written by someone who frankly has at times struggled to stand upright on her skis let alone ski (we have the xrays as evidence). You get to see these mainly young guys, ski / board down a slope at speed, to then ski uphill and then jump the gap whilst creating shapes, doing backflips and somersaults, to land the other side. I think I’ll go and sit and have a rest for a while, just watching these baggied skiers was enough entertainment for this laydeee skier. Watching them makes me wonder aloud as to the combined human effort and endeavour involved. I’m still left wondering. Then there is the music, it’s typically a quiet time of the season and the resorts like to pull in a few more punters if they can. So various stages have been set up on the pistes, literally. The backdrops are breathtaking. Getting there and back on skis or walking is just part of the fun. There’s Rock, Reggae, Ambient, World, Electro – something for everyone. Standing in the sun, in full ski gear, sipping on a beer and listening to live music, it’s a novelty to enjoy while it lasts, and then to return to the quiet of the morning pistes, just with the birdsong and the sound of your skis for company. And all the time there’s another bunch of, again young baggied and bobble-hatted guys, creating art pieces around the village – blank canvases are turned into works of Street Art. It’s nearing the end of our winter escape, Spring is springing in the Alps, the melt is starting and the ski resorts are winding down. In the meantime I’ll enjoy these last few weeks of winter with some friends and food, good but technical skiing, a few walks and a bit of exploring and the thought that I need to start winding up for the return home and the gardening year ahead. Now your fiestas sound like a LOT of fun, I like cheesy music, there I’ve said it publicly!! I’m not good at ski but I like watching a great play. I’m the same too, they are great to watch, so fearless! How fun and daring! Thanks for posting these photos. Hi there, definitely daring and a bit of craziness too! 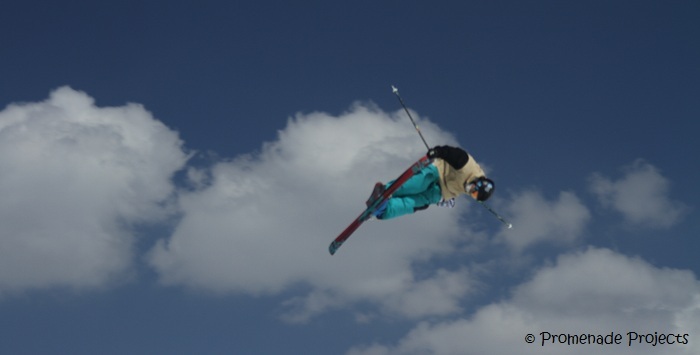 The skiers create works of art with their bodies. I would love to see this in the wild. Good morning .. wow, utterly fantastic (to watch!!) Beautiful blue skies .. and I love the fox painting. An amazing experience, thanks for letting us share this amazing day!! Hi there and thank you, we were very lucky with the weather, and had to find the right place to stand to get a good backdrop of blue with fluffy white clouds! Thanks Celi, it was tricky, probably the hardest photos we’ve taken – bright light, reflective snow, fast moving objects, unpredictable movements, there’s a lot of photos that were deleted ! And I hope your son is having a great time, what is he up to in Banff, working or holidaying? Or shouldn’t a mother ask! Look at all those photos! You’ve been busy. Enjoy the last of your winter home. Thank you Nia, I have to say it’s been a pretty amazing winter! what fun, the exciting adrenaline charged world of fit young men on display in such an awesome way, flying over the snow! The adrenaline must be pretty high! I watched these guys as they hurled themselves over the gap doing their tricks, and land – yes some of them crashed but the way they bounced back up was remarkable, it would take me weeks to get up if I did anything remotely similar! What a great post! Your pictures, Claire, are amazing! I see those guys in mid-air and can only stare. It is just so enthralling. I bet there’s an incredulousness to finding yourself actually watching the events in person. Good for you and lucky us that you cared to take us along. Thank you! Hi Debra, yes I recall your Circque Du Soleil expereince, and they are wonderful and so clever. The skiers and jumpers are wonderful and clever too but in a different way, for one thing it’s competitive. We did see a few crash, but somehow they spring and bounce back up – you need a young body to sustain that kind of impact! I love those photos. 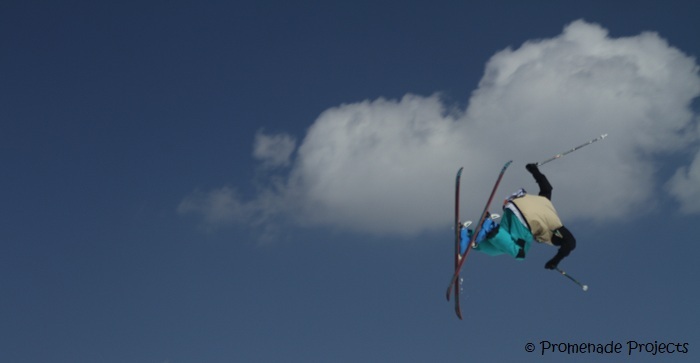 We just returned from the slopes today and while I will NEVER ski jump, I really am in awe of those who do. Hi Tammy, lovely that you’ve been on the slopes too I hope you had a great time. Watching these guys just makes you realise that they have probably been on skis since they were 3! But to be able to do these jumps they must have a real passion for it. You’ve really captured the essence of this festival in your photographs! How daring are they to do what they do.. it really boggles the mind! I’m afraid to go over a little bump!! Hi Smidge, I know what you mean about going over small bumps, thats as daring as I will ever get! The photos are spectacular, and the way you describe it, it sounds like a lot of fun… but not the sort of thing that would attract me… ever. Hope you’re having a very nice time! Thank you Shimon, and yes I can see why some poeople wouldn’t particularly find it attractive, I can’t really imagine why people want to do it in the first place, but I was happy enough to stand and watch! What impressive (and scary) shots! Enjoy the rest of the season! Thanks Inger, I know what you mean about scary, it’s not something I could ever contemplate doing! Oh to be young and afraid of nothing. I’ll just enjoy the photos instead. Absolutely!! I ache just watching!